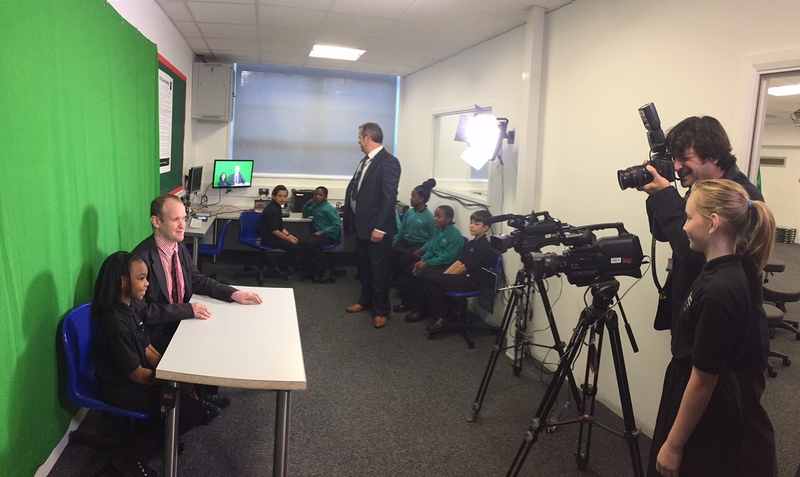 Gorringe Park Primary School in Mitcham is all set to open its brand new TV studio and IT suite. Merton’s cabinet member for edcuation Councillor Martin Whelton and director of children, schools and families Yvette Stanley joined pupils and headteacher Simon Elledge this week (Friday 11 September) to take a look at the state of the art equipment and to have a go at producing their own news piece to camera. 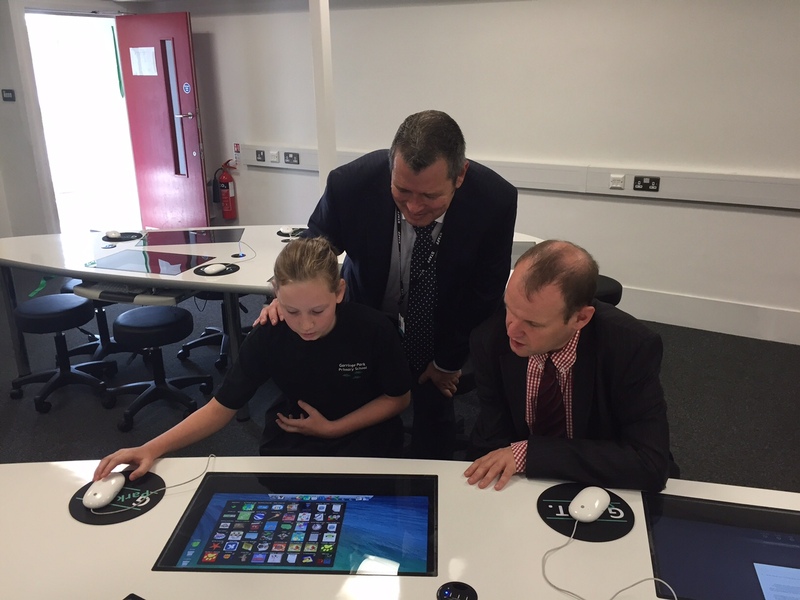 Pupils at the school will be able to benefit from hands-on experience of being both in front of and behind the camera. They will have the opportunity to present bulletins about issues that interest them. They will also have the chance to produce and direct the bulletin as well as film it. The station includes a green screen which allows the children to make professional looking and creative programmes. The school is planning to invite community groups into the school so that as many people as possible in Merton will be able to benefit from this resource.